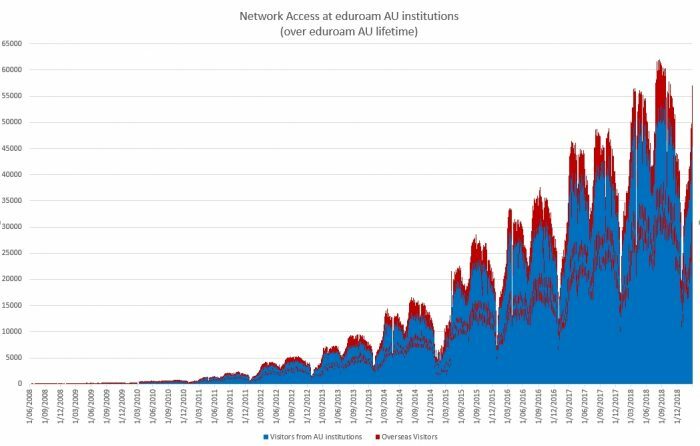 Typically, a user device will connect automatically to the visited institution’s wireless network (via the “eduroam” SSID) multiple times during one day as the user moves in and out of wireless coverage at the visited institution. 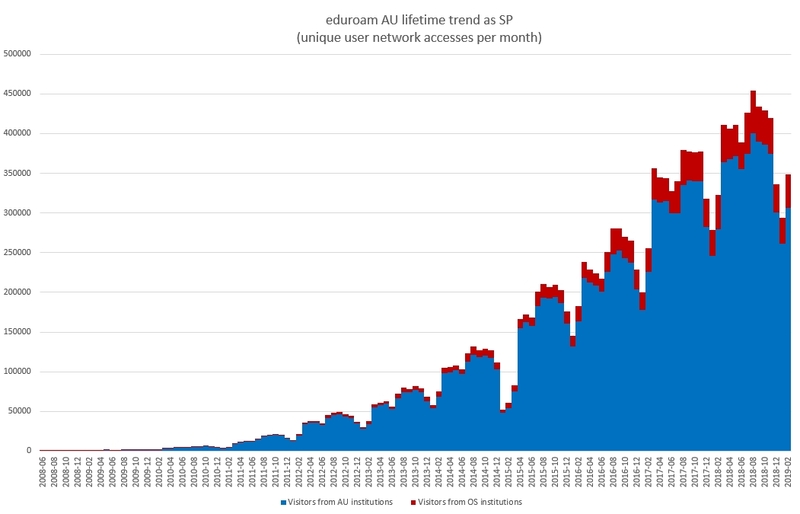 One user may carry several devices configured to connect to eduroam e.g. laptop and mobile phone. For the purpose of usage metrics, multiple authentications by the same user during a day when visiting a particular institution are normalised to a single authentication event for that day. 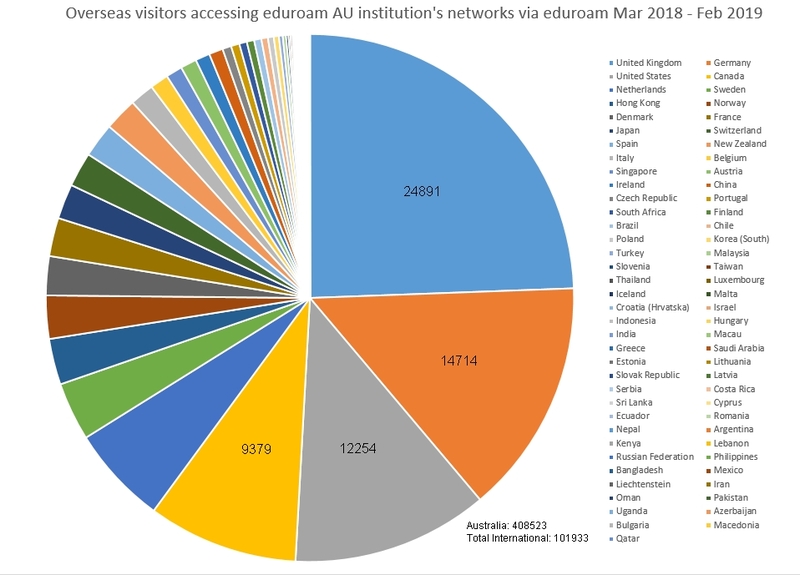 Similarly users are normalised to unique users over the indicated time-period of international visitor pie charts. 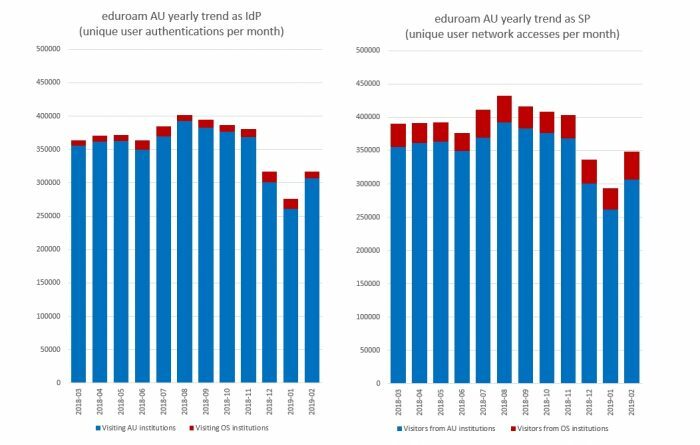 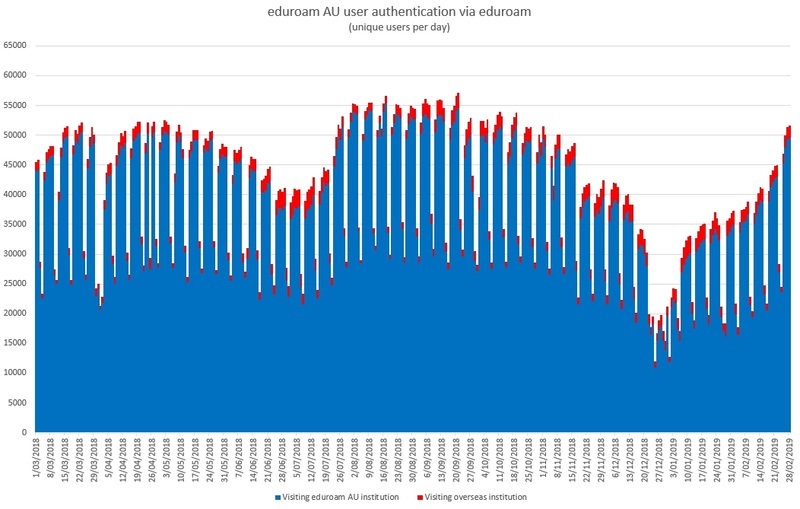 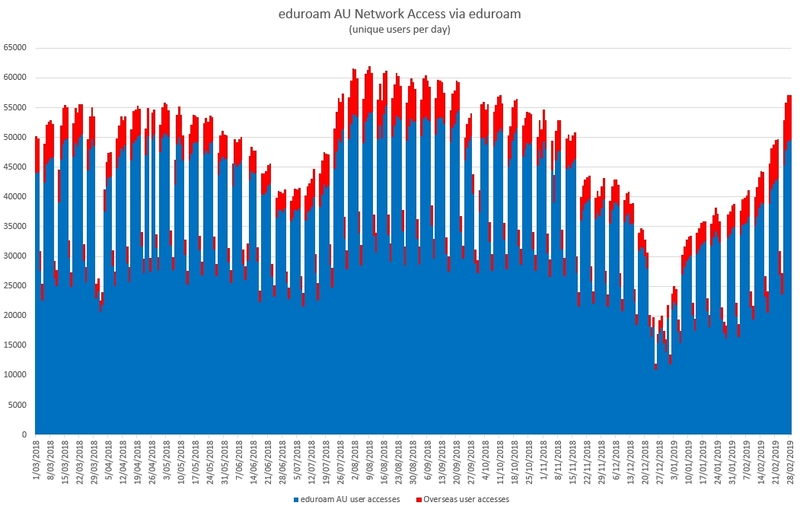 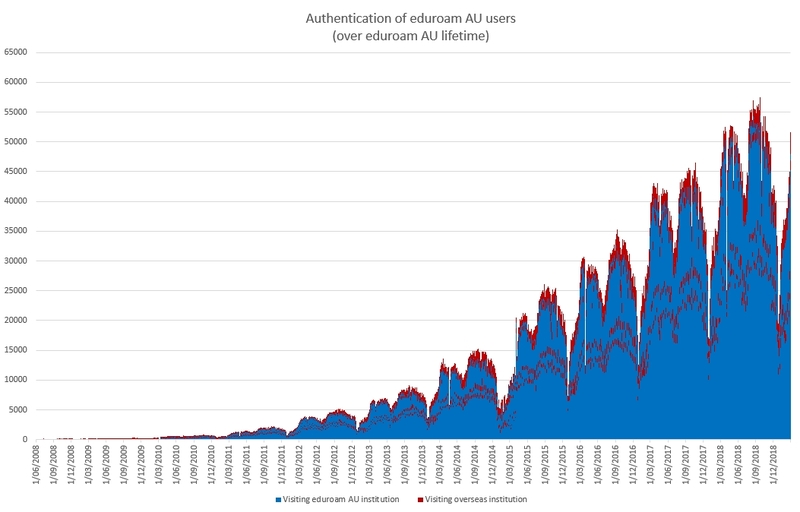 The following graphs depict usage of eduroam AU over the last year, unique users per day during the period March 2018 – February 2019.